Piper has a history of buying me fragile gifts and then accidentally breaking them shortly after. She gets too excited. 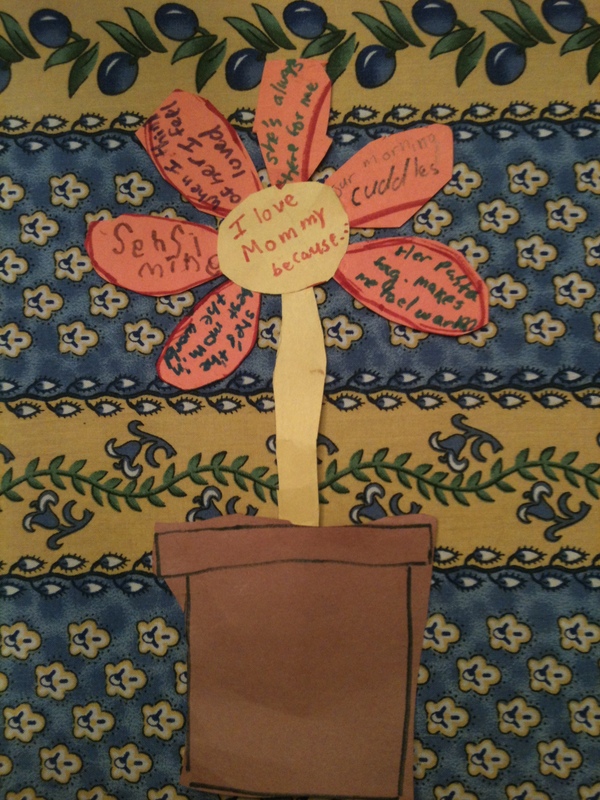 She loves the glass rose with the ‘I Love You, Mom’ ribbon and the sparkly unicorn she painted for me herself. She loves them so much that she wants to hold them and feel them and…oops. Then I’m consoling her for breaking the precious gift. There is an entire shelf in our china cabinet displaying the shattered pieces. They’re still beautiful. Piper and I like to take them out and remember when they were whole. Thankfully, her gift this year is unbreakable. She told me so when she presented it. 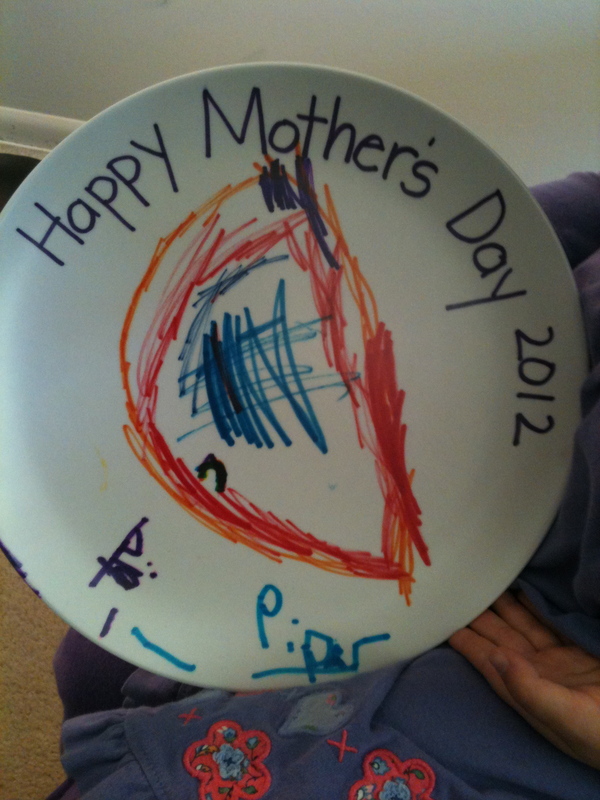 Since it’s a plate, Piper painted a mouth on it. “That’s what my mouth looks like when I eat a rainbow lollipop!” Of course. 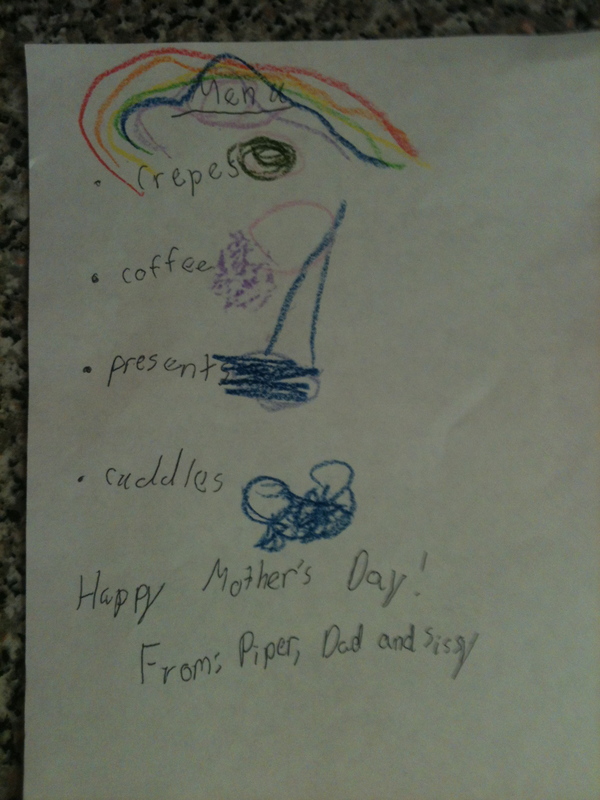 And the plate was put to good use when Piper brought me a menu bright and early on Mother’s Day. 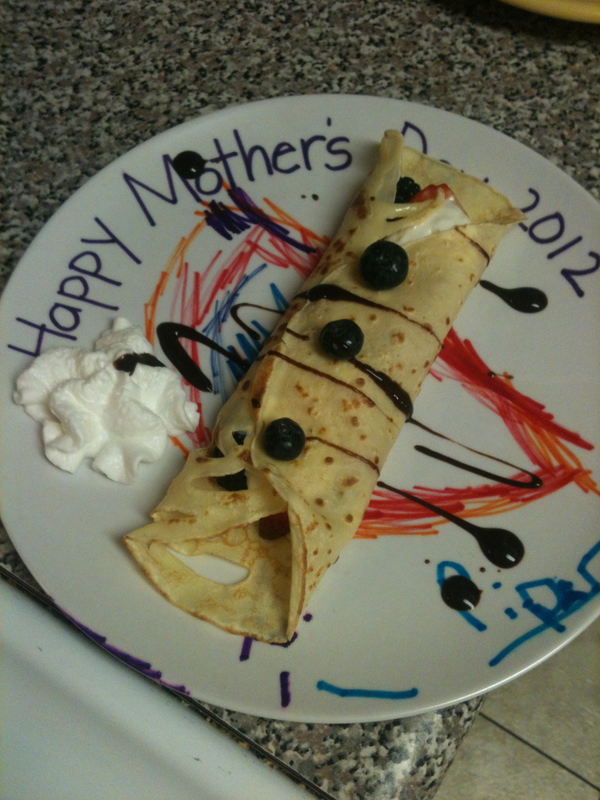 I immediately ordered fresh crepes on my new plate. Followed by a side of cuddles. They were both delicious.